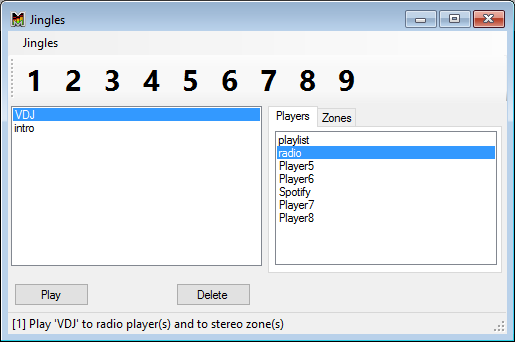 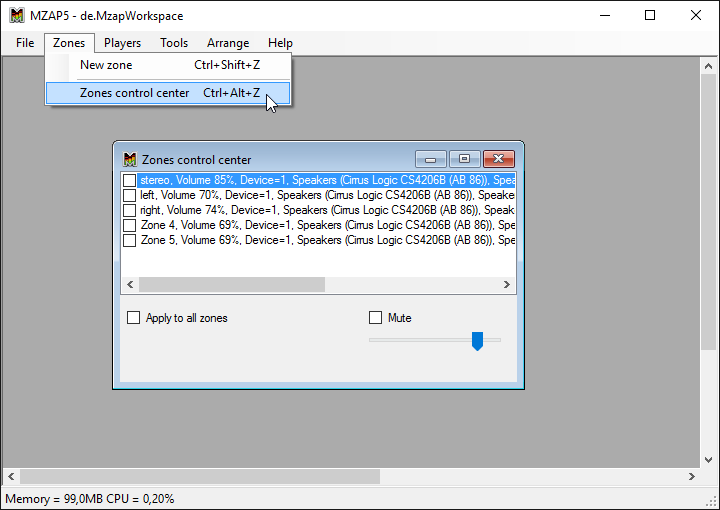 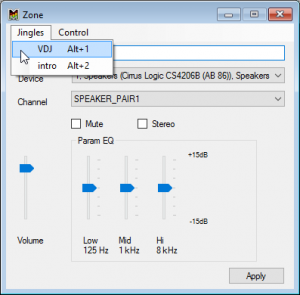 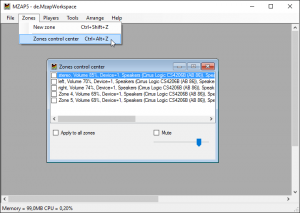 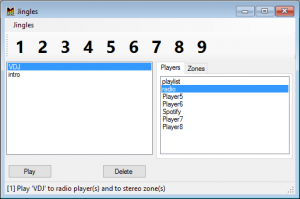 Open Zone Control Center (Ctrl-Alt-Z shortcut) window and double click on the desired zone to show it. 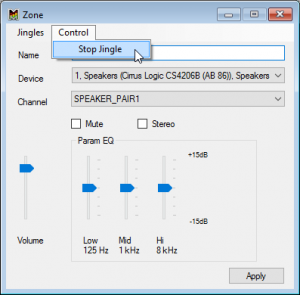 You will find all available jingles in the Jingles drop down menu. There are hotkey shortcuts for each jingle Alt+digit. 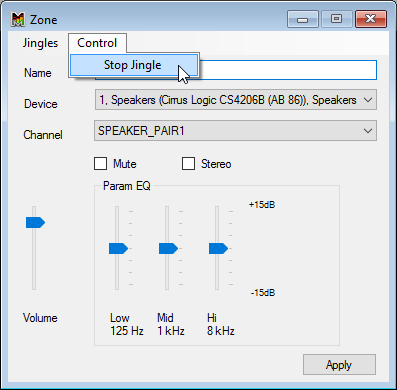 If you started jingle by accident or you want stop it immediately, please use Control menu and select Stop Jingle.